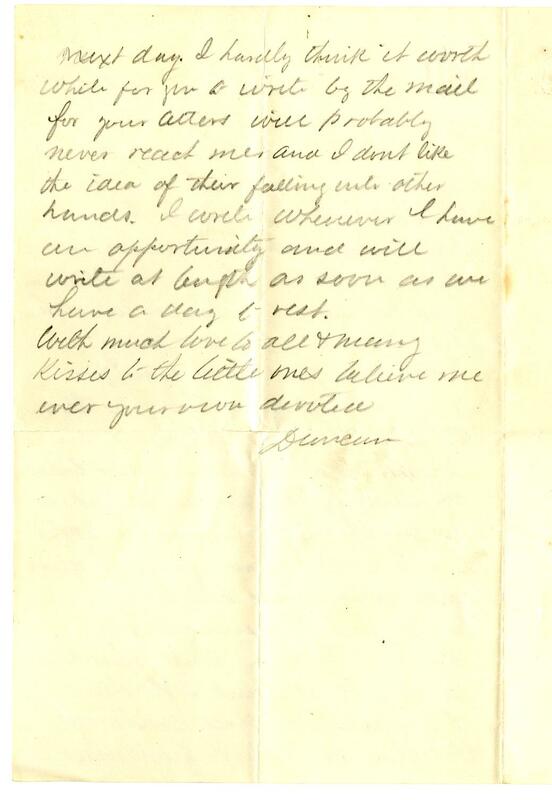 Item Description: A letter from Duncan G. Campbell to his wife about the Battle of Bentonville. He mentions capturing commanders, and losses suffered. Item Transcription: From Folder #6, in the Campbell Family Papers #135, Southern Historical Collection, Wilson Library, University of North Carolina at Chapel Hill. 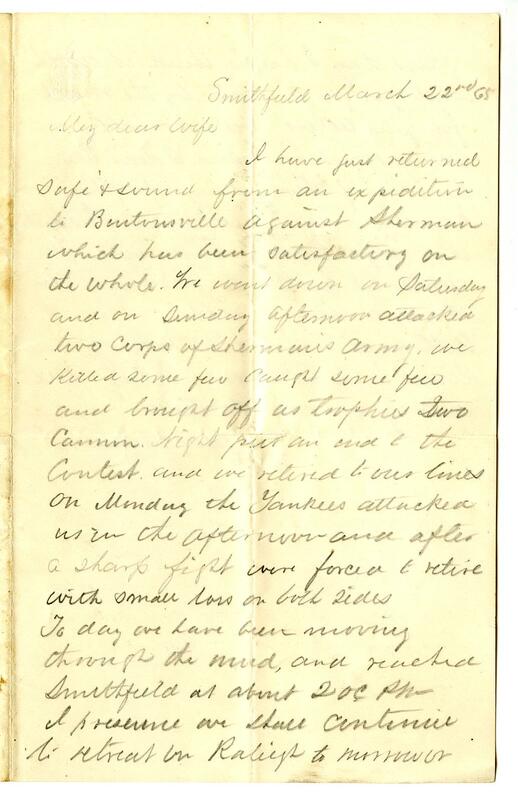 This entry was posted in Southern Historical Collection and tagged Battle of Bentonville, Duncan G. Campbell, North Carolina, Sherman, Smithfield. Bookmark the permalink. We killed some few, caught some few, and brought off as trophies two cannon [not commanders!]. Night put an end to the contest and we retired to our lines. Her letters will probably never reach him, not her Afters. I agree with Liz on all of those. I am amazed by this letter. This is the most positive spin on Bentonville that I have ever read for his side. Is he trying to reassure the family?